I used to love my Rugby Union. I really, really loved it. Whether it was bike riding to TG Millner for each Eastwood home game, hoovering up news articles about the Wallabies, Waratahs and Woodies, organising and playing for Sloths Rugby in the annual Byron Bay Sevens and rarely missing a home test in the 1990s and early 2000s – Rugby Union held a great deal of attraction for me. That has all changed. Right now, Australian rugby is at its nadir – and events on Saturday night made it so for me. The zenith of an Australian rugby season should be a Bledisloe Cup and the visit of the All Blacks. Back in the 80s, when Australia actually won a couple of Bledisloe games and indeed Bledisloe Cups – the lead up to the game was as special as the game itself. For days you’d pore over articles about who should play, read reminiscences about former players and clashes and generally work yourself up into a fever pitch of excitement before game day. Part of the excitement was because the Bledisloe was generally played every second year in Australia and each alternative year in New Zealand. Come modern day Rugby, and there are still the usual attempts to whip up the usual fervour. There’s the usual lift-out in the Herald and if you are in anyway connected into Sydney’s business community and you want to go to a Bledisloe Cup lunch on the eve of the test there are no shortage of options. To be honest, though, it’s all formulaic and a little like going through the motions. 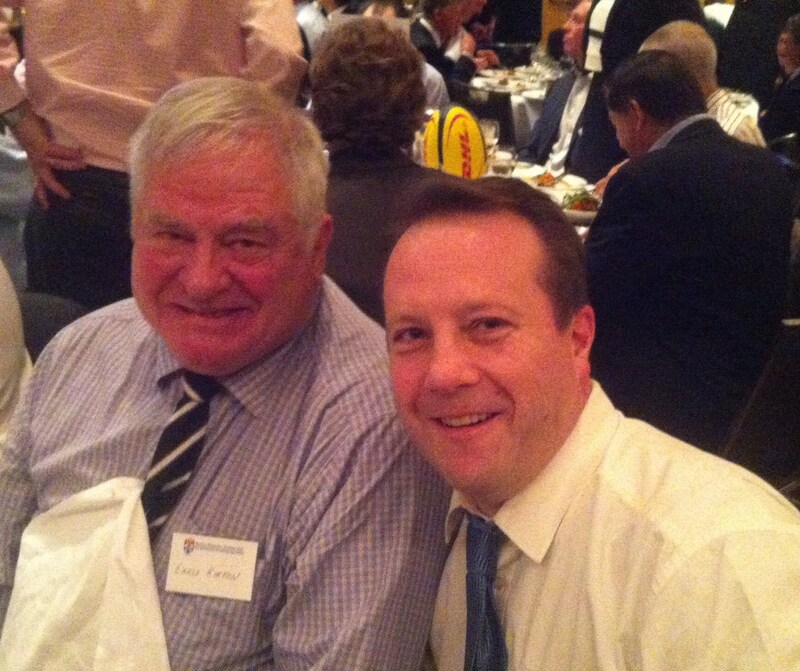 Last Friday, I attended the Sydney University Finals Rugby Lunch. This is one of THE lunches to attend in the lead up to Bledisloe. 900 people pack the ballroom at the Westin and it is one of those lunches where the calendar is marked DNR. The speakers are top names (Sir Graham Henry, David Kirk, Hootie van Stratten) and there’s always plenty familiar faces around. BonHomie abounds. So I went to this great rugby lunch. I was sitting with some mates, when this old bloke carrying some condition sat next to me. We got talking and it turned out he was an All Black. He modestly admitted that he had played 5/8th for New Zealand, as well having a long career in the UK. 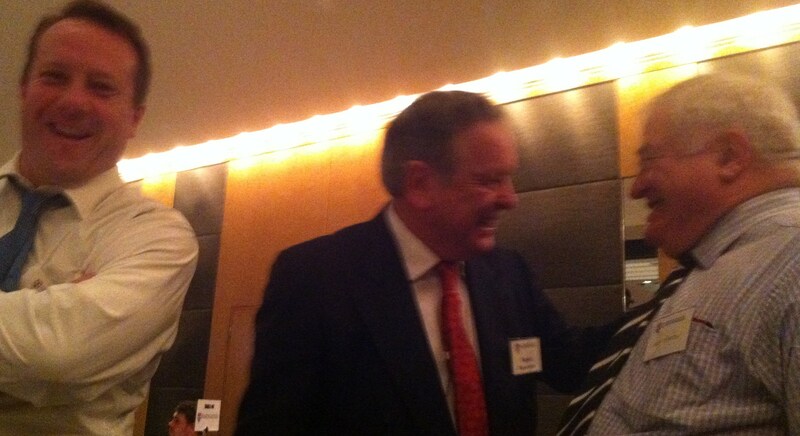 After some probing I realised I was sitting next to Earle Kirton – a really great All Black that played 13 tests – 12 wins. During the afternoon, he was approached by many people that knew far more about him than I did. Rupert Rosenblum – 3 tests(?) as a 5/8th for Australia came and said gidday. It turns out Earle was a deputy coach, selector, coach of Welllington and still a practising dentist. This was old rugby. The next day I went to the Olympic Stadium to watch the Wallabies v the All Blacks. I went because all three boxes were ticked. 1) I was driven there and back 2) I didn’t have to pay for my ticket and 3) once at the ground there was free booze and fine food. It all started well. Magnificent oysters, good company and beer flowing. Anthem singing was lusty, but after that it went down hill. The Wallabies were woeful. Worst game of rugby I’ve seen for some time. Amazingly the Wallabies were still in it at the 76th minute mark and 76,000 people roared encouragement as the Gold pushed forward. As expected, it all squibbed up and we lost again. The conclusion is that Robbie Deans should be fired. Even if all three boxes are ticked, I doubt whether I’d go again to the Oympic Stadium with the current regime of the Wallabies. It’s a foregone conclusion. 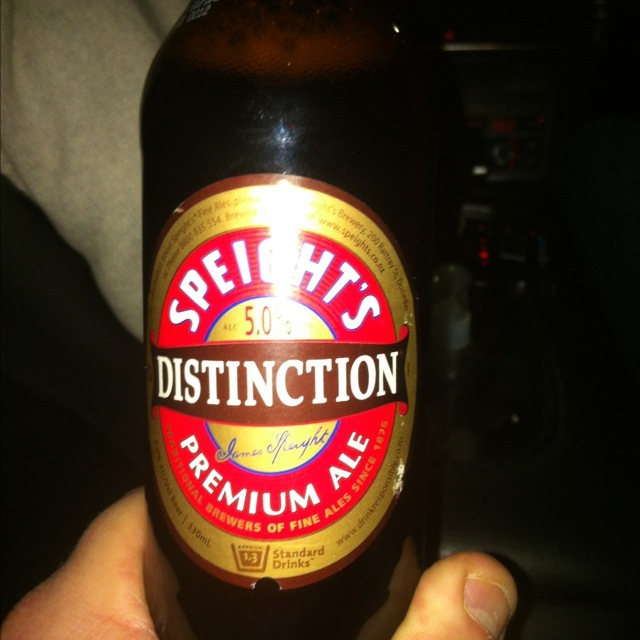 BTW, Speights Distinction is poorly named – though it made the trip to Homebush less painful. Cool story about meeting Earle Kiton. A few years back when I lived in New Jersey, I used to go to a diner the next town over (Montclair) for coffee on saturday afternoons. There was usually this old black guy there having lunch. I’d occasionally chat with him, bullshitting about the weather, sports, the usual crap guys talk about when they don’t know each other and are just killing time. It wasn’t until he died and I saw his picture plastered all over the newspapers and on TV that I realized he was Larry Doby, a Baseball Hall of Famer, and one of the most important people in the history of the sport. Wow. As a Cleveland Indians fan, that makes me jealous. As a fan of the history of sport, that makes me very jealous. Quite simply a legend. Very jealous you got to have lunch and a few beers with Ted and Earle. Used to see Earle as Wellington coach pacing behind the dead ball line at Athletic Park during games rather than in the stands. Wonder if he’s still a regular at Dockside Bar on the Wellington waterfront? Will find out when I’m there for AB’s v Argies in a couple of weeks. Bring back the afternoon test matches I say! Afternoon rugby is the best rugby. Need to see a test in NZ soon.